Week Ending Oct. 28, 2012. Albums: 1,208,000! The tally for Red is up from the 1,047,000 that Swift's previous album, Speak Now, sold in its first week in October 2010. 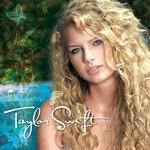 And that was up from the 592K copies that her sophomore album, Fearless, sold its first week in November 2008. And that was way up from the 39K that her first album, Taylor Swift, sold in its first week in October 2006. Swift is one of only four artists to ring up first-week sales of 1 million or more copies more than once. The others are Backstreet Boys, *NSYNC and Eminem. This makes Swift the first female artist and the first country artist to achieve this feat. And she's just the second artist, following Backstreet Boys, to see its sales increase from its first million-selling first-week to its second. Details below. The tally for Red includes 465K digital copies, which constitutes the second-highest digital total in history. 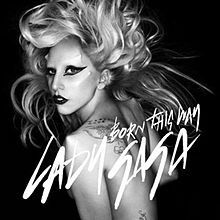 Lady Gaga's Born This Way sold 662K digital copies in its first week in May 2011. And that total included about 400K copies that sold for 99 cents at Amazon MP3. (Gaga fans wish I'd stop bringing that up, but it is a pretty significant asterisk.) Mumford & Sons' Babel sold 420K digital copies in its first week in September, which is now the third highest one-week tally. Red will almost certainly wind up as the album that sold the most copies in one week in 2012. This will be the second year in which Swift posted the biggest first-week tally of any album that year. She also had the biggest first-week tally of 2010 with Speak Now. Swift is one of four artists to have the year's fastest-breaking new album two or more times since 1992, the first full year that Nielsen SoundScan tracked sales for Billboard. 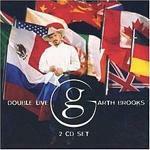 Garth Brooks had the fastest-breaking album four times in the 1990s. *NSYNC and 50 Cent each had it twice. 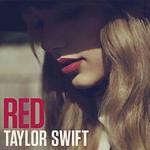 Red is already the third-best selling album of 2012. It trails only Adele's 21 (4,114,000 sold so far this year) and One Direction's Up All Night (1,316,000). I figure Red will wind up #2 for the year. That would make this the fourth year that Swift has had one of the three best-selling albums of the year. Fearless was #3 for 2008 and #1 for 2009. Speak Now was #3 for 2010. That would also make Swift only the second artist, following Eminem, to rank in the top three at year's end four times since 1991. The Marshall Mathers LP was #2 for 2000. 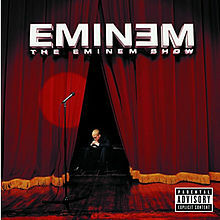 The Eminem Show was #1 for 2002. Encore was #3 for 2004. Recovery was #1 for 2010. Red also debuts at #1 in the U.K. It's Swift's first #1 album in the U.K. Fearless peaked at #5. Speak Now reached #6. Moreover, it's only the second country/pop crossover album to reach #1 in both the U.S. and the U.K. since the U.K. chart originated in 1956. It follows Eagles' Long Road Out Of Eden, which topped the charts in both countries in 2007. Now, for you numbers geeks, here's the backup on the four acts have started with sales of 1 million or more twice. Backstreet Boys scored in 1999 with Millennium (1,134,000) and in 2000 with Black & Blue (1,591,000). *NSYNC scored in 2000 with No Strings Attached (2,416,000) and in 2001 with Celebrity (1,880,000). 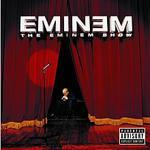 Eminem scored in 2000 with The Marshall Mathers LP (1,760,000) and in 2002 with The Eminem Show (1,322,000). The Fine Print: The latter album charted a week earlier with sales of 285K, based on just three days of sales. The album's release had been hurriedly pushed up (twice) to combat an Internet leak. This was its first full week of sales. Shameless Plug I: I'm commemorating Swift's achievement with two Chart Watch Extras. The first one, which went up on Friday, identified the album that has posted the biggest first-week sales in every year since 1992, the first full year of the Nielsen SoundScan era. 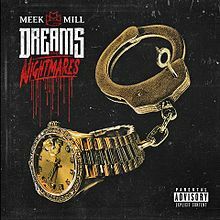 Shameless Plug II: Before Nielsen SoundScan came along, how did artists achieve bragging rights for having the fastest-breaking album of the year? By climbing to #1 on the Billboard chart the fastest. This second Chart Watch Extra will identify the album that rose to #1 the fastest in every year from 1955 through 1990. Look for it on Friday. 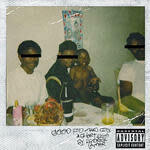 Kendrick Lamar's debut album, good kid m.A.A.d. city, debuts at #2 with sales of 241K. It's the first top 10 album for the rapper from South Central L.A. Lamar's "Swimming Pools (Drank)" is a top 15 hit on Hot R&B/Hip-Hop Songs. It has sold 327K copies. Lamar's 241K opening would have put it at #1 in all but 12 weeks this year. Jason Aldean's Night Train drops from #1 to #3 in its second week. It tops the 500K mark in just two weeks. His last album, My Kinda Party, took seven weeks to reach that threshold. Tony Bennett's Viva Duets debuts at #5. It's his fifth top 10 album; his third since October 2006. Remarkably, Bennett has amassed more top 10 albums since he turned 80 (in August 2006) than he did in his entire career up until that point. This gives Bennett a 50-year span of top five albums. He first cracked the top five the week of Nov. 24, 1962 with I Left My Heart In San Francisco. (Note: The current week corresponds to the Billboard issue dated Nov. 10, 2012.) Only Frank Sinatra has a longer span of top five albums (March 23, 1946 to Aug. 25, 2012). Viva Duets consists of duets with Latin music stars (or pop stars of Latin ancestry) such as Christina Aguilera, Gloria Estefan, Marc Anthony, Thalia and Vincente Fernandez. 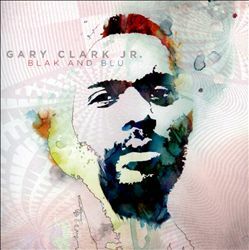 Blues guitarist Gary Clark Jr.'s Blak And Blu debuts at #6. This is a popular album title. The Rolling Stones and Lou Rawls both charted with albums titled Black And Blue. 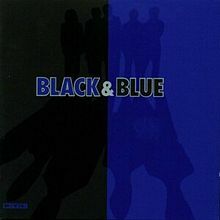 Backstreet Boys and Harold Melvin & the Blue-Notes both charted with albums titled Black & Blue. Lady Antebellum's On This Winter's Night is debuts at #9. It's the trio's fourth top 10 album. Lady A released a holiday EP, Merry Little Christmas, in 2010. It reached #12 and has sold 392K copies. 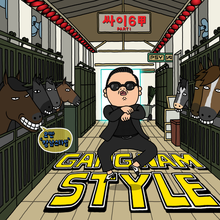 PSY's "Gangnam Style" holds at #1 on Hot Digital Songs for the third week; the second in a row. Will this finally be the week it bumps Maroon 5's "One More Night" from the top spot on the Hot 100? I think so, but we'll find out for sure later today when we post Chart Watch: Songs. The Top Five: Taylor Swift's Red debuts at #1 (1,208,000). It's Swift's fifth top 10 album; her third to reach #1… Kendrick Lamar's good kid m.A.A.d. city debuts at #2 (241K). It's Lamar's first top 10 album…Jason Aldean's Night Train drops from #1 to #3 in its second week (116K)…Mumford & Sons' Babel drops from #2 to #4 in its fifth week (53K)…. 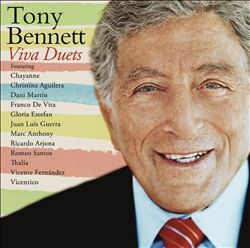 Tony Bennett's Viva Duets debuts at #5 (36K). It's his fifth top 10 album. The Second Five: Gary Clark Jr.'s Blak And Blu debuts at #6 (35K). It's his first top 10 album…Stone Sour's House Of Gold & Bones, Part One debuts at #7 (31K). It's the band's third top 10 album…P!nk's The Truth About Love drops from #6 to #8 in its sixth week (25K)… Lady Antebellum's On This Winter's Night debuts at #9 (25K). It's the trio's third top 10 album…Brandy's Two Eleven drops from #3 to #10 in its second week (22K). Six albums drop out of the top 10 this week. Scotty McCreery's Christmas With Scotty McCreery drops from #4 to #15, Jamey Johnson's Living For A Song: Tribute To Hank Cochran drops from #5 to #29, Miguel's Kaleidoscope Dream drops from #7 to #16, Little Big Town's Tornado drops from #8 to #11, Adele's 21 drops from #9 to #12 and Dethklok's Metalocalypse: Dethalbum III plummets from #10 to #54. 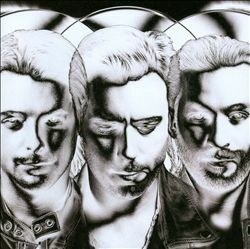 Swedish House Mafia's Until Now debuts at #14. "Don't You Worry Child" (featuring John Martin) is climbing the Hot 100…The Sword's Apocryphon debuts at #17...Twiztid's Abominationz debuts at #18…Bridgit Mendler's Hello My Name Is… debuts at #30. Mendler, 19, stars in the Disney Channel series Good Luck Charlie. Her "Ready Or Not" cracked the Hot 100 last week. 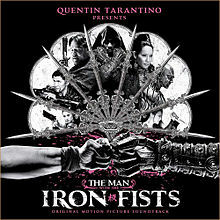 The soundtrack from The Man With the Iron Fists debuts at #31. It also debuts at #1 on Top Soundtracks, displacing Dethklok's Metalocalypse: Dethalbum III. Rapper RZA directed, co-wrote and co-stars in the movie, which is due Nov. 2. The soundtrack features original songs created for the film by such artists as The Black Keys, Kanye West, the Wu-Tang Clan, Ghostface Killah and Wiz Khalifa. Quentin Tarantino "presents" the movie, which also stars Russell Crowe and Lucy Liu. Prediction: This will be a big album. Journey's 1988 album Journey's Greatest Hits jumps from #64 to #57 in its 238th week on the chart. It's #1 on Top Catalog Albums for the 13th week; the fourth time this year. The Doors' Live At The Bowl '68 enters Top Music Videos at #1. 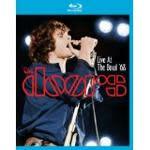 An earlier edition of this same concert video, Live At The Hollywood Bowl, spent six weeks at #1 in September and October 1987. The video was filmed at the group's concert at the fabled venue on the weekend of July 4, 1968. Argo rose to #1 in its third weekend at the box-office. Coming Attractions: Meek Mill's Dreams & Nightmares will probably debut at #2 next week (behind you-know-who), with sales in the 175K range. Rod Stewart's Merry Christmas Baby will probably debut around #4, with sales of 80K. Toby Keith's Hope On The Rocks will probably debut around #6 with sales of 50K. Neil Young & Crazy Horse's Psychedelic Pill will probably debut around #8 with sales of 30K. Also due: Flyleaf's New Horizons (about 15K), Calvin Harris' 18 Months (about 10K), Trans-Siberian Orchestra's Dreams Of Fireflies (On A Christmas Night), Cee Lo Green's Cee Lo's Magic Moment, A Very Special Christmas 25th Anniversary, and Andre Rieu's Home For The Holidays.